"There’s a lot of what I’ll call 'tabletop archaeology' on display in 1942." 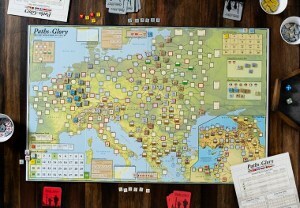 Ray Garbee offers a "Retro Review" of Game Designers’ Workshop's 1942, which focused on the first six months of World War II's Pacific theater. While in some ways the game shows its age, it's interesting to see why Rick concludes that "… if you find a cheap copy in good condition, seize it for your library."